One account to send money, receive money, and spend around the world up to 8x cheaper than the banks. Bye bye bank fees, hello world. Send, spend and receive money for less. Data collected by an independent research agency. Spend at the real exchange rate. Spend the currencies in your account anywhere in the world with the TransferWise debit Mastercard®. Get low conversion fees, and zero transaction fees. 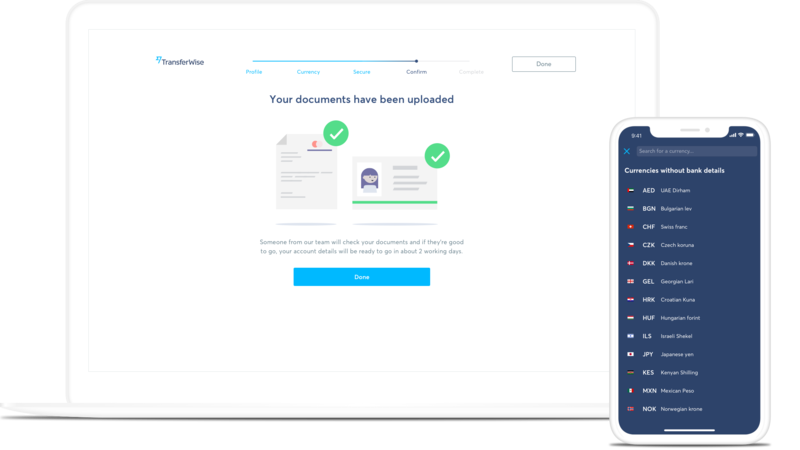 These are your personal details to get paid from the UK, the US, Australia, New Zealand, and any country in the Eurozone, and no-one pays any fees. Hold and convert 40+ currencies. 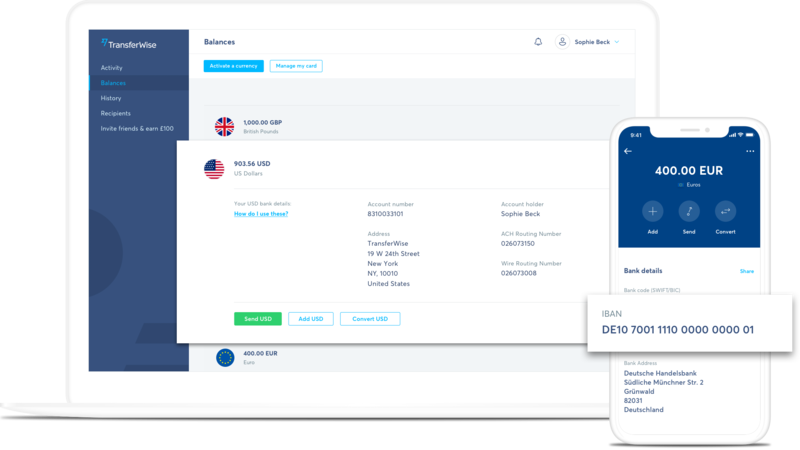 You can hold over 40 currencies in your TransferWise borderless account and switch between them in seconds — on the move, in the moment, or when the rate is right. You'll always get the real exchange rate and the low, transparent fees we're known for. The borderless account in 90 seconds. Get your free account quickly and easily online. Just complete your profile and upload your ID documents to verify your account for security. Then start sending and receiving money around the world. I use it to pay my son’s tuition fees, my mortgage and spending abroad. 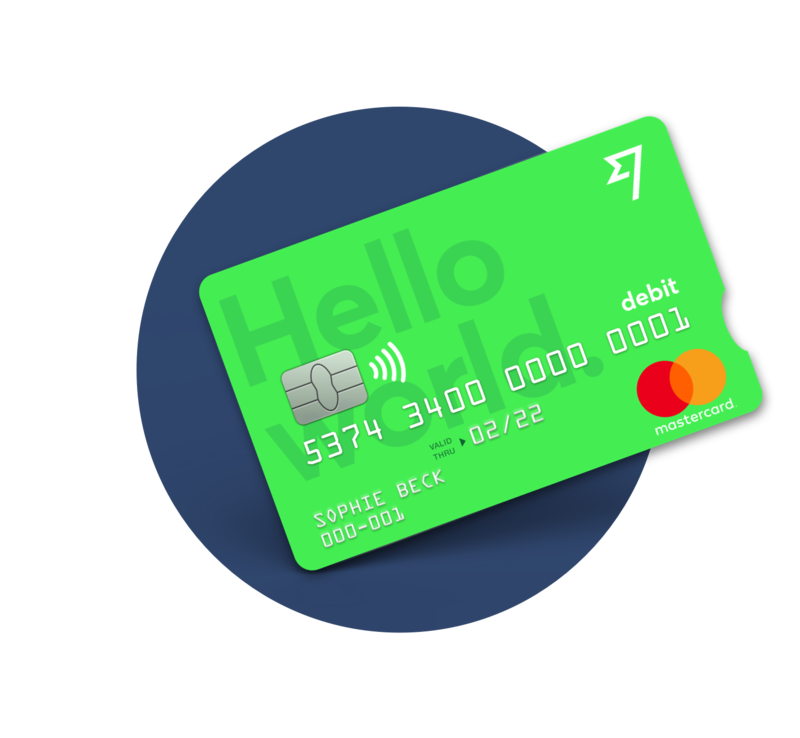 The TransferWise debit Mastercard® is issued by TransferWise Ltd under license by Mastercard International Inc. Mastercard is a registered trademark, and the circles design on the card is a trademark of Mastercard International Incorporated. It's free to get your international bank details and free to receive money using those bank details. 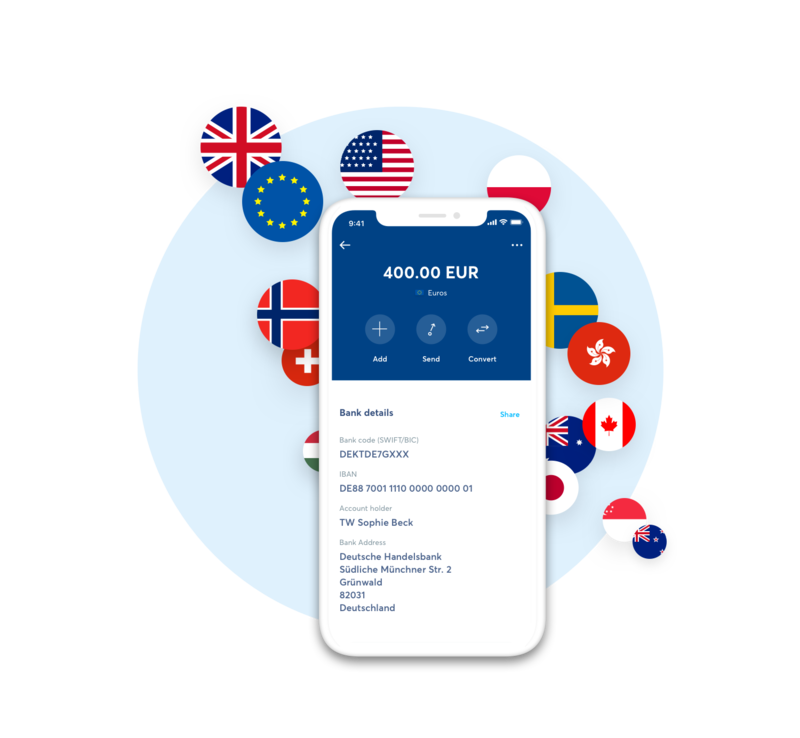 There's a cheap, transparent fee to convert between currencies - either in your account or if you spend on your TransferWise debit Mastercard® in a currency you don't have in your account. When you convert money in your account it's always with the real exchange rate, and you always see our low, transparent fee up front so there's never any surprises. And if you spend on your debit Mastercard in a currency you don't have, it autoconverts the balance with the lowest fee, so you never have to worry. How much are the currency conversion fees? You'll always see these fees upfront in your account, so there are no nasty surprises. And you're guaranteed the mid-market exchange rate — like the one you see on Google. There's a small fixed fee of 50p / €0.60 to withdraw funds from your borderless account to another account in the same currency.